Review: Star Wars: The Last Jedi / It's Just Movies Review: "Star Wars: The Last Jedi"
The Force lives on with new blood. The same special effects and light saber hokum stalls for time in what appears to be a rebuilding year for the franchise. Notice is given at the outset when a 100-decibel opening dose of John Williams knocks you back in your seat like a laser siege cannon. If you came to this movie by mistake, you soon know it. 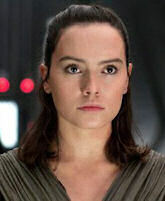 A cast of new characters is led by Daisy Ridley playing Rey. Rey appears to be the Jedi-elect as the franchise prepares to phase out Luke Skywalker (Mark Hamill). Her nemesis is Adam Driver, playing Kylo Ren, the conflicted baddy who is torn between doing the right thing and becoming master of the universe. The screenplay does not do justice to either one of the characters, retreading them as the new Luke and Darth Vader. Rather than making us love them, it implores us to go along. Even Chewbacca seems poised for replacement by a band of alien ground squirrels. Laura Dern, of all people, pops up as Vice Admiral Amilyn Holdo, serving under Leia (footage of the deceased Carrie Fisher taken before her death). If Dern is slated to take over from Carrie Fisher as admiral she may soon wish she was back pounding the Pacific Crest Trail with Reese Witherspoon. One can hardly imagine how the Dern decision was made. With all respect to her, it comes off as one more step towards turning the beloved Jedi saga into another tired Star Trek franchise. Domhnall Gleeson adds a much-needed touch of humor as the feckless General Hux. Made up as a composite of Jared Kushner and Donald Trump Jr., he repeatedly pulls defeat out of certain victory as the masters of the dark forces slap him around like Moe twisting Curly’s nose in “The Three Stooges.” Andy Serkis does a good job as Supreme Leader Snoke, but, then, we never see him act except through a computer augmented face job. His role as Caesar in the “Planet of the Apes” franchise demanded more. As the supreme leader he does not so much act as he snarls while delivering insults. Oscar Isaac struggles to anchor the jingoistic maverick fighter role as pilot Poe Dameron. He is infinitely more at home in the streets, as Llewyn Davis or in “A Most Violent Year.” Even so, he takes up the slack since Luke Skywalker is out of the pilot seat. Kelly Marie Tran steals the show with her work as a surprising savvy security guard who also has a talent for the stick and rudder. John Boyega, as Finn, her partner in these antics, comes up short. Benicio Del Toro adds a twist to the cast as code-breaking DJ, the genius without loyalty. He can fill the nefarious, pirate-of-all-trades segment of the Han Solo void while Oscar Isaac fills the maverick pilot part. One hopes that neither Del Toro or Laura Dern gets permanently sucked into the Disney void, doomed to spend eternity as a cartoon. An excellent sequence in the intergalactic Monaco-inspired casino, capped by an outrageous stampede by space horses, harkens back to the real invention of the original movie. Although there are sparkles here and there, odd casting combined with slapstick takes this movie in a different direction, and it is not the direction of the original film. Mystical, dignified, fast action sci-fi is morphing into camp.